From the preview, the second episode of Teen Mom OG isn’t going to disappoint in the drama department. 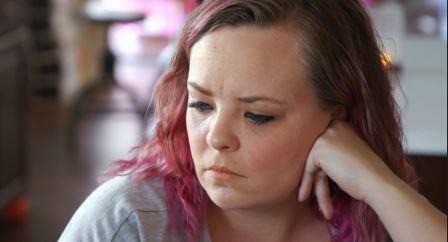 Catelynn Lowell is finally coming home from rehab. Yay!!!! Gone are the days of face-time-only communication and hidden bitterness. I wonder if she will be able to sense any of the tension that was revealed on the premiere episode. Or will Tyler Baltierra be so happy he no longer has to take care of everything on his own, that all will be forgiven? I don’t know, but I can’t wait to find out! Let me grab a glass of wine and my remote and tune in to someone else’s drama life. Catelynn surprises Tyler by leaving rehab a few days early. She was diagnosed with PTSD and panic disorder and plans to attend therapy three times a week at home. Surprisingly, Tyler seems genuinely happy despite venting about all of his contempt for her last week. I’m glad she is finally home; Tyler seemed like he was genuinely at the end of his rope. Catelynn catches up with her friend Hailey at the park. They discuss how she seems so much happier now that she is back home. She is grateful for Tyler standing by her during such a difficult time. I wonder if she would feel the same way if she saw the last episode. Tyler goes back to therapy and the therapist suggests having couples counseling, where they both can feel supported. Tyler doesn’t think Catelynn realizes the issues they are having and the length of time it has been affecting him and their marriage. The therapist suggests he finally let his needs be known. She also suggests that they sit down and watch the show together, so they can see their issues clearly. She wants him to know he has a choice, to either keep doing what he has always done or to start actively addressing and working on their problems. 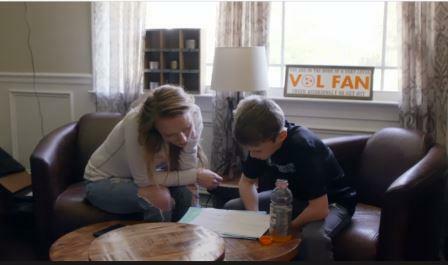 Tyler brings homework for him and Catelynn from the therapist’s office. He senses hesitation from her despite his good intentions. She questions why he would want to relive the sad moments from the previous season by watching it. I understand her hesitation, but I actually think it’s a good suggestion. Sometimes it takes a third party or to see yourself in retrospect to realize what is evident to everyone else. Amber texts Leah about coming to visit her and her little brother James. She replies that she is busy. To a nine year old, busy is jumping on the trampoline with her little sister, but nonetheless it hurts Amber’s feelings. Gary and his wife discuss how this response isn’t coming from them, but they have to give Leah choices and it must be hard for Amber to accept as a mother. Amber discusses with her cousin, Crystal, how it bothers her that Leah still won’t come over. She admits that she has been really depressed, and the doctors said the issue is her bi-polar and not postpartum. Her cousin commends her for admitting she has issues and living with it. Amber doesn’t understand how she can be so happy, but depressed at the same time. I feel for her, here she is happy with a fresh start and new baby but wanting desperately for her oldest child to be a part of the picture. Andrew is back from his friend’s wedding and Amber cooks him dinner to celebrate. They discuss her depression and how the situation with Leah weighs on her. She is thankful for Andrew always supporting her and making her feel comfortable. Bristol feels like her and the kids live their lives on egg shells; she never knows what will set off Dakota. She finally comes to the conclusion that although she likes her home and life; she just doesn’t like her marriage. She doesn’t want to be a quitter but acknowledges that their issues aren’t going away. Dakota admits he realizes that his marriage is over. He needs a safe home where he can have support in house rather than just outside with friends and family. Although, getting a divorce is not on his wish, he really just wants peace. Unfortunately, it seems that the peace he is seeking has to come from within first. I honestly believe they can both benefit from individual and family counseling in order to get to a better place personally and with co-parenting. After a much needed stare down heart to heart about the state of their marriage, Dakota realizes that 90% of their problems stem from his PTSD. He feels like a failure since their marriage is falling apart. Bristol apologizes for being cold towards him, but realizes they will be better apart than together. She feels like she is lonelier married than she felt all the years she spent as a single mother. She has already mentally packed her bags and is in Alaska enjoying hot cocoa with her family. This seemed obvious in the last episode when they spent every segment arguing. Was anyone else not surprised by this conclusion, hands??? Cheyenne makes it clear to Zach that she will be having another baby by the time Ryder is two. They both agree that they discuss having a baby more than getting married. I’m sure he heeds this demand because this time he wants to win the role of father rather than just scorned boyfriend. For some reason, Cheyenne has to go run errands and Cory is the one who is taking her to supposedly spend time with Ryder (insert side eye emoji). In the car, Cheyenne admits her dad does not know that Zach has been living with her. Cory of course wants her to tell her dad that he knows will not be accepting of the news. 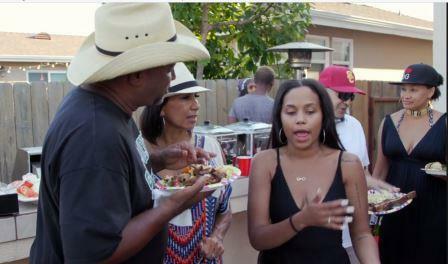 Cheyenne’s family has a BBQ/pool party that weirdly includes both Zach and Cory, who seem to act like the other isn’t in attendance. Cory has a discussion with Cheyenne’s dad and step dad about their situation. It seems ironic how they have such a great example of the dynamic they need to try to model and don’t seem to take the bait. They both give them advice to respect boundaries, but want him not to forget, he is the father and Zach is only a boyfriend at this point. Cory admits that Zach living with Cheyenne and seeing Ryder more bothers him. Cory and Cheyenne talk at the party and Cory admits that he spilled the beans on Zach living with her, despite her wishes. Cheyenne goes to talk to her dad to do some damage control. She questions how he didn’t know when he is always there when he comes to visit. She stomps off from the conversation crying because her dad states he loves her, but he has conditions for that love. Oh Cory, great job throwing Cheyenne under the bus because you feel insecure. I know he got in his car after the party and smiled evilly into the mirror. Okay, that may just have just taken place in my mind, but he clearly created the drama on purpose. Jen and Larry are coming to pick up Bentley for a visit, as the order of protection still allows Bentley to see Ryan and his grandparents. Maci and her husband, Taylor, discuss the rules, Ryan is not allowed to be around Bentley unsupervised. She trusts his grandparents, but she is always scared that something may happen. Jen comes over to pick up Bentley in one of the most awkward moments I have ever seen between them since the show started. Maci doesn’t acknowledge Jen’s presence and Jen just ends up leaving the house to wait in the car. I really felt bad for her, despite her trainwreck of a son, she really seems to care about Maci and her whole family. Maci decides Maverick may need a haircut since everyone mistakes him for a girl when they are out. Taylor’s barber comes over and does the honors and there is no mistaking him for a little girl anymore. He even strikes some cute poses for an impromptu photo shoot to commemorate the moment. Taylor and Maci talk about how awkward the pickup for Bentley was, and it just seems like there needs to be a mature discussion. I understand the mistrust that may be on both sides given the situation with the restraining order against Ryan. But there has to be a discussion if they want to create a healthy space for Bentley where he doesn’t feel in the middle. Although Jen and Larry have enabled Ryan to a degree, they have both always had a good relationship with Maci and I hate to them have this breakdown in communication. This episode of Teen Mom was definitely interesting to say the least. The theme definitely seemed to be change, whether it’s good or bad. I hope all of the Moms are able to embrace the change in seasons and move forward in a positive way, but something tells me that we haven’t even reached the tip of the iceberg! TELL US – WHAT WAS THE MOST MEMORABLE MOMENT OF TONIGHT’S EPISODE? WAS CORY WRONG TO TELL CHEYENNE’S SECRET?